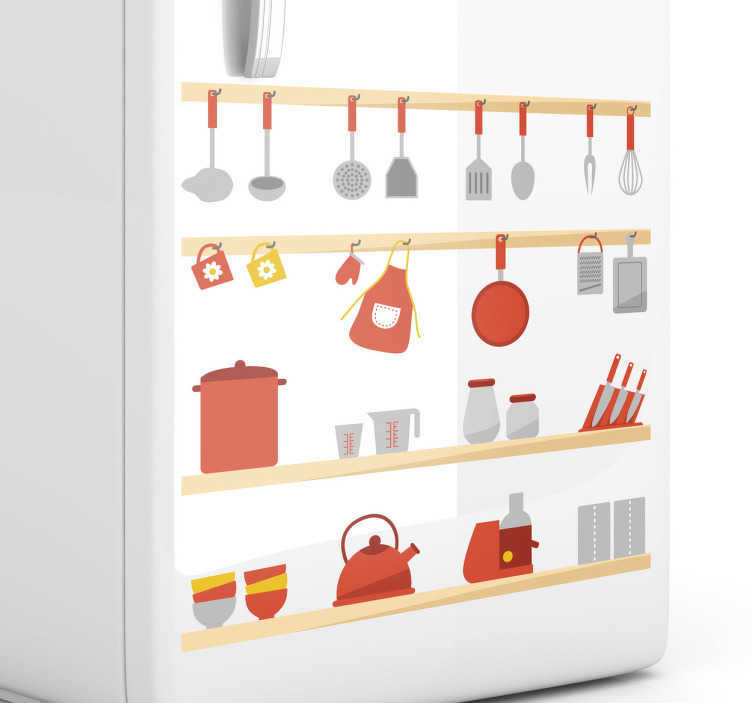 Kitchen Stickers - Shelves filled with kitchen utensils. Use this colourful wall sticker to create the perfect atmosphere for cooking and washing up. Learn to love your kitchen even more and feel happy when you enter with this orange sticker, perfect for filling that empty space on your wall and surprising your guests! Decal designs to decorate your kitchen or cooking area.